This is an example of a Kriek done right and not the back sweetened garbage that Lindeman’s puts out there (which is untraditional practice). 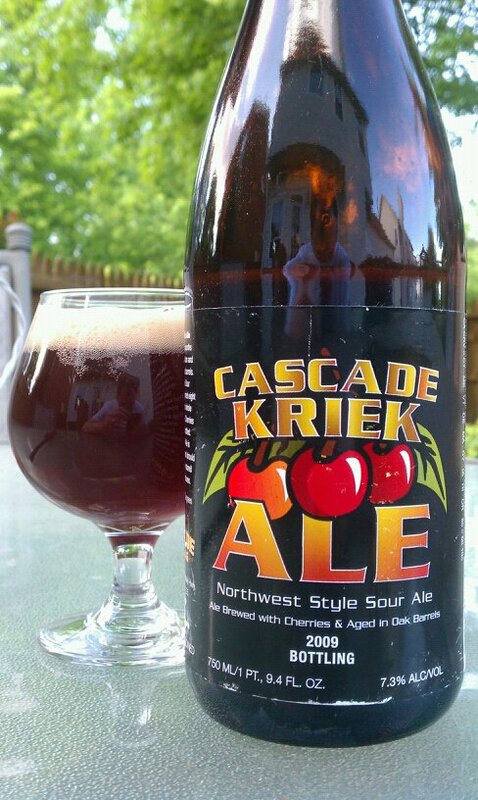 Cascade’s Kriek is aged with 4 types of cherries and in oak for around 6 months. The tart cherry plus the oaky sour acidity were spot on and the most upfront flavors. This beer is very complex even at it’s young age. I also got some almond and vanilla flavors when I look past the blast of cherry. Aroma was well you guessed it cherry first, then vinegar, and snuggled in there some oak. The Lacto and cherries are a match made in beer heaven. For a sour fan like me, its good and sour. The mouth puckering of the tart cherries and lactic keep you coming back for a sip. Where do you like to pick up these sours? I have trouble finding them. Cascade Brewing Company does not use any brett in their brewery, however that is a very nice beer. Hi Jason- Thanks for catching my typo! Yes It’s Lactobacillus only, I fixed that line.